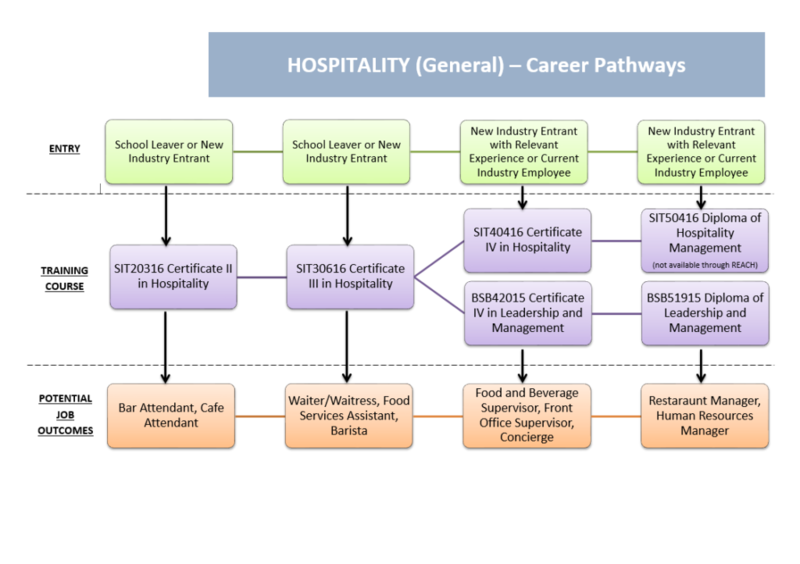 Overview: This qualification provides the skills and knowledge for an individual to be competent in skilled operations and team leading or supervision within a hospitality environment. Work can be undertaken in variety of hospitality enterprises such as: restaurants, hotels, catering operations, clubs, pubs, cafes, cafeterias and coffee shops. Individuals may have some responsibility for others and provide technical advice and support to a team. The qualification is suitable for an Australian apprenticeship pathway. Work Placement: 80 hours minimum work placement within a regulated hospitality facility such as a restaurant, hotel or club is compulsory for this qualification. Work Placement Insurance will be provided by REACH for Training. This qualification may be delivered as a traineeship program.